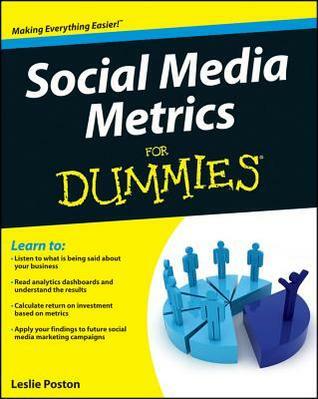 Starting today, you have a month to win one of 10 signed copies of my book, Social Media Metrics for Dummies, over on GoodReads. Good luck! If you aren’t yet a GoodReads user, sign up and connect with me on my Leslie Poston author page for Social Media Metrics for Dummies, Twitter for Dummies and other upcoming books. Social Media Metrics for Dummies is designed to give you a great start in using metrics for your brand or business. It is appropriate for both beginners and intermediate analytics users. Have you read it? I love it when happy readers leave reviews on GoodReads and on Amazon!